Colours make good, easy theme days. Today's theme, in our home, is "Blue". E and I got up this morning and put on some blue clothes. 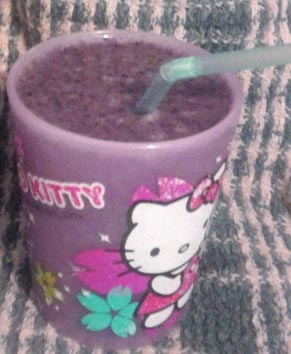 We made blueberry smoothies for breakfast. I know that blueberries are technically purple, but they are called blueberries and blue isn't exactly a colour that is generally associated with food. We used blue straws. E likes banana smoothies and although we did add a banana to our smoothie this morning, she took one sip and said "No!" pushing her cup away. So E had regular, not blue, toast. I printed the word "Blue" in block lettering and we coloured it in using blue markers and blue crayons. ...and we made some little buildings with the blocks after that. 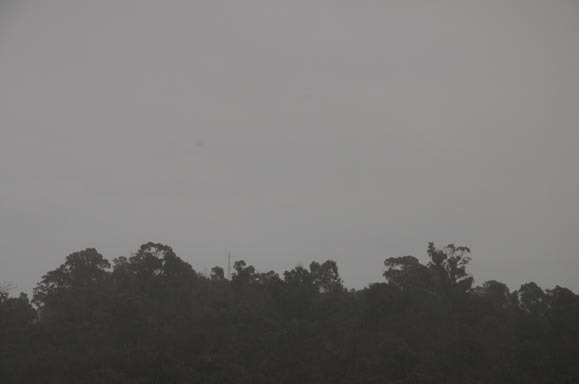 Yesterday we had clear blue skies, so I thought that I'd be able to point that out to E today. No such luck, as it was raining all day and the view from our back window was decidedly grey. For another blue activity, we baked blue cupcakes. I know, I know, I said blue wasn't a colour for food. What was I thinking?! 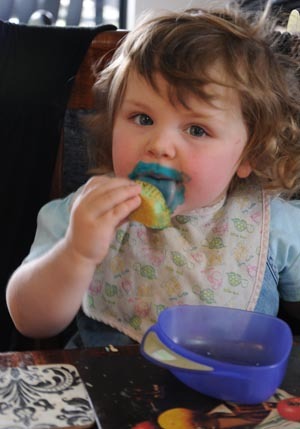 I usually avoid artificial colours in our food, especially blue. I've even refused to give E blue frosted cake at a birthday party. We had just about every colour patty cases except for blue, so we used pale, purplish, stripy ones. The cupcakes did turn out quite pretty, don't you think? 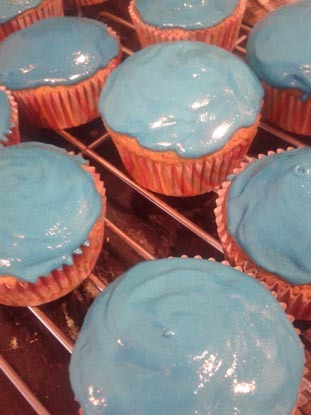 They taste nice, just like normal vanilla cupcakes... but they're blue. That's just not right. We had one each, anyway. E gets excited about cake. One other blue themed activity that we did today was about the easiest yet. 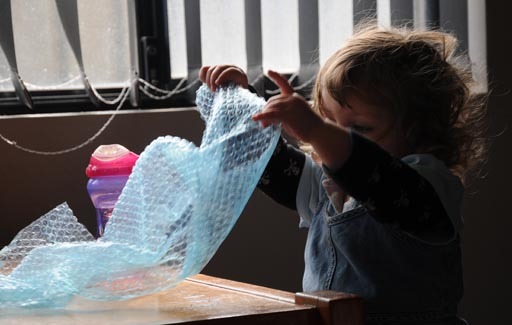 I gave E a piece of blue bubble wrap to play with. Pop, pop, pop! Everything tastes better when it's blue! 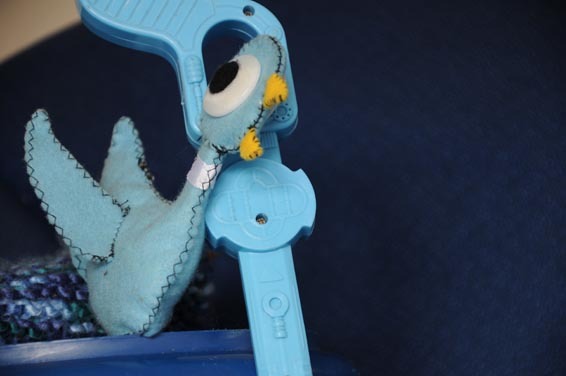 Ok maybe not, but it looks like you had a wonderful 'blue' day!